Jared Freed is a partner and co-founder at D'Ambruoso & Freed LLP, a boutique law firm based in downtown Boston, Massachusetts, representing individuals and small to mid-sized business organizations in connection with their real estate, estate planning, and corporate needs. Prior to co-founding his firm, Mr. Freed spent six years practicing domestic and international tax law at Ernst & Young LLP and PricewaterhouseCoopers LLP. Jared is also a licensed Massachusetts real estate broker, gaining invaluable consumer side real estate experience representing developers, investors, owner/occupants, and tenants throughout the greater Boston area. 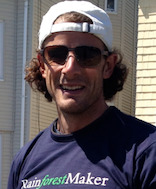 Jared is avid golfer in his free time and resides in downtown Boston with his wife.